The advantages of blockchain for businesses are numerous, and some stand out more than others. Here's why your business might want to consider blockchain. 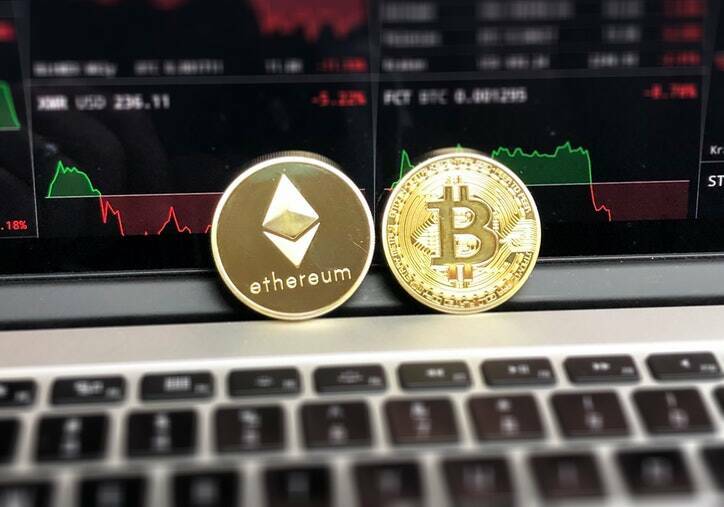 Many people associate blockchain with the cryptocurrency Bitcoin. Yes, it is true that it was the success of Bitcoin that gave the world insight into the blockchain technology. But Bitcoin is just one example of blockchain application. Many other sectors can immensely benefit from the blockchain technology. Businesses, in particular, could take advantage of this technology to reduce their costs and increase accountability. The basic advantages of Blockchain technology are decentralization, immutability, security, and transparency. The blockchain technology allows for verification without having to be dependent on third-parties. The data structure in a blockchain is append-only. So, the data cannot be altered or deleted. It uses protected cryptography to secure the data ledgers. Also, the current ledger is dependent on its adjacent completed block to complete the cryptography process. All the transactions and data are attached to the block after the process of maximum trust verification. There is a consensus of all the ledger participants on what is to be recorded in the block. The transactions are recorded in chronological order. Thus, all the blocks in the blockchain are time stamped. The ledger is distributed across every single node in the blockchain who are the participants. So, it is distributed. The transactions stored in the blocks are contained in millions of computers participating in the chain. Hence it is decentralized. There is no possibility that the data if lost cannot be recovered. The transactions that take place are transparent. The individuals who are provided authority can view the transaction. The origin of any ledger can be tracked along the chain to its point of origin. Since various consensus protocols are needed to validate the entry, it removes the risk of duplicate entry or fraud. With the smart contracts, the businesses can pre-set conditions on the blockchain. The automatic transactions are triggered only when the conditions are met. All businesses that are keen to invest in blockchain technology must first perform a strategic evaluation to see if it is truly feasible for their business model. Many companies may not see a return on their investments in the initial years. Any unstructured implementation of the blockchain technology may lead to strategic failures. Thus, it is advised that companies perform granular assessments at the use-case level to determine which application can be induced with blockchain technology. The points where it can be applied has to be identified and its impact has to be assessed with specific use cases. A right strategic approach is what is needed to leverage the maximum benefits of blockchain technology. The blockchain architecture includes the public and the private options. In the public option, anyone can join and read. The blockchain in the public can be made secure by permitting only authorized participants to write. In a private-based blockchain ownership model, only authorized participants can join and read. Here also, the writing option can again be allotted to only a few. The type of blockchain architecture will depend on the business type and the area where it is to be implemented. How can businesses take advantage of the blockchain technology? Now that we know the benefits of blockchain technology, let us see how it can help businesses. The blockchain technology is mainly used to store the records and transactions. The ledger may contain static or trade-able information. Here the ledger consists of records that are stored as a reference purpose. Take, for instance, the land title. There are many cases of ambiguity in title ownership. With blockchain technology, the records once stored cannot be altered. Any changes are time stamped. In case of dispute, the title can be tracked through the path of origin. The other places where it can be used are in patents, research articles, and food safety & origin ledgers. This is similar to the static registry. But this forms a separate case due to the identity-related information stored. The segments where it can be used are for identity frauds, voting, civil registry, police records, and court cases. Here, a set of pre-defined conditions has to be met if the transaction has to get validated. Upon meeting the conditions, the actions are automatically triggered. Say, for example, in the insurance-claim payout. The insurance provider can set the conditions to be met for insurance claims. The amount is transferred only if the consumer’s claims satisfy the conditions set in the contract. Other areas where it can be implemented are music releases, cash-equity trading and so on. The ledger, in this case, keeps updating as goods/services are exchanged on the digital platform. The best use case is in a drug-supply chain. The supply of drugs right from the manufacturer to the distributor and finally to the drug store can be mapped. The updates provide information on the movement of drugs and this can be used to stop the supply of counterfeit drugs in the market. This is a dynamic registry that updates as the cash or cryptocurrency payments are made on the network. This is advantageous for international payments in business. There are already whispers in the business corridors of how blockchain technology has the potential to disrupt the existing models. The blockchain has to be initiated with an objective to drive operational efficiencies. If properly implemented, the blockchain technology has wider implications, undoubtedly, the positive ones.